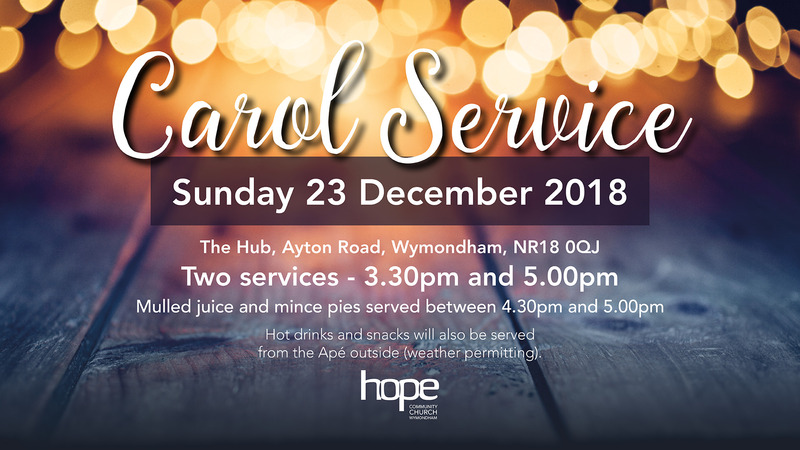 Celebrate Christmas with Hope, Wymondham at either of our two carol services. Bring your friends to hear the timeless message of Christmas and sing your heart out to well known festive carols. Hot drinks and snacks will also be served from the Apé outside (weather permitting). Please note that there are no morning meetings that day.